Home / Unlabelled / Grammarly users this is for you now - Privacy at Risk - What you type and What it shares ? In today's growing world of technology, threats are ready to attack you every second. And it's most easy to attack when the terms and conditions are accepted without reading. Long back when mobile conversations were the large areas for communication, sending and receiving information and that's the reason why advertisers used those platforms for their profit. People complained about unwanted advertising SMS's to be blocked, and the further actions were taken by TRAI to block them by the service called DND ( Do Not Disturb). But the situations are not the same today. Nowadays Telephonic communications are largely getting replaced by the Internet and that's the new place for attackers and advertisers too. So, how does Grammarly have to do anything? That's what, everyone reading, would be asking me. Isn't it? So let's go ahead and find out how. The time, I started attaining my classes on Ethical Hacking and programming long back in 2008, I found out a technical term called keylogging. What exactly is keylogging about and what is a keylogger? I suppose people who are reading this post have been reading to my older post, and many would know what a keylogger is and how exactly it works, still for those who are new I'll explain it in short " A keylogger is an application with a set of codes which provide it the ability to record all your keystrokes". Now I won't go in deep on how it's used to steal data, let's jump on our topic how Grammarly is a privacy risk. Firstly today none of the users have the habit of reading the terms and conditions of any site or any application. Why do we need to read those ? Oh, come on. if I say I am so intelligent, I read every term and condition for every app and every website. Believe me, I am a lire. Really I too don't care at all, but when it comes to privacy and when it comes to something that sounds really very great, the old going warning "Mutual Funds Are Subject to Market Risk please read the scheme related document carefully" starts running in my ears and that makes me read and that's exactly what I did today before I could start using Grammarly too. And results left me laughing on those people who are already using Grammarly. The most important note ignored, read it, you too may feel its really threatening. See the language and the warning. Where do you use Grammarly and how is it a threat? Every single place where you type in any data you probably use Grammarly. and what it does? It records every keystroke and keeps it saved, till your word or a sentence is complete and then uses the dictionary and other sets of tools to describe you your mistake. But how could you forget its keylogging you at the end. Now how is it a threat, see what Grammarly's term say and you, as usual, agree with them without reading. So now you have no rights to take any actions against them. So now read the next terms. I know no one reads them so I am just removing the best which act as a threat to your privacy. By completing the registration process for any given Services, you are agreeing to subscribe to the selected Services, subject to the terms and conditions of this Agreement. You agree to provide Grammarly with accurate and complete registration information, and to promptly notify Grammarly in the event of any changes to any such information. Here Grammarly clearly mentions any software where you use Grammarly. you and only you are responsible for any password, ID that are being shared. and if anyone finds any of your passwords or id's you will inform it to grammarly. And now grammarly saves your data and if someone steals it from grammarly you will provide the info it grammarly no one else will be responsible for such leaks. I dont find any need to say how grammarly is able to see your text even on Facebook and gmail as its shown in the video on top. Now many can say it's ok even if it saves afterall it will be on my account. So lets Go one more step further in Grammarly terms. User Content You are solely responsible for all text, documents or other content or information uploaded, entered or otherwise transmitted by you in connection with your use of the Services and/or Software (“User Content”). User Content includes, among other things, any mistakes contained in the content or information transmitted by you. Grammarly is not responsible for the loss, corruption or other changes to User Content. Without limiting the foregoing, any feature(s) of the Services and/or Software that may permit you to temporarily save or otherwise store certain User Content is offered for your convenience only and does not guarantee that the User Content will be retrievable. By uploading or entering any User Content, you give Grammarly (and those it works with) a nonexclusive, worldwide, royalty-free and fully-paid, transferable and sublicensable, perpetual, and irrevocable license to copy, store and use your User Content in connection with the provision of the Software and the Services and to improve the algorithms underlying the Software and the Services. The Site and the Software also collect and receive information from your computer or mobile device, including the activities you perform within your account, the type of hardware and software you are using (for example, your operating system, word processing or other productivity software and browser type) and information obtained from cookies. When you access the Software, that application will request access to certain information on your computing device. The Site also contains electronic images known as “web beacons” (or “single-pixel gifs”) and are used along with cookies to compile aggregated statistics to analyze how the Site is used and may be used in some of our emails to let us know which emails and links have been opened by recipients. Web beacons allow us to gauge the effectiveness of our customer communications and marketing campaigns. We use a third party to gather information about how you and others use the Site. For example, we will know how many users access a specific page and which links they clicked on. The above paregraph clearly mentions grammarly can share your data with their partners to gain paiyments from them. 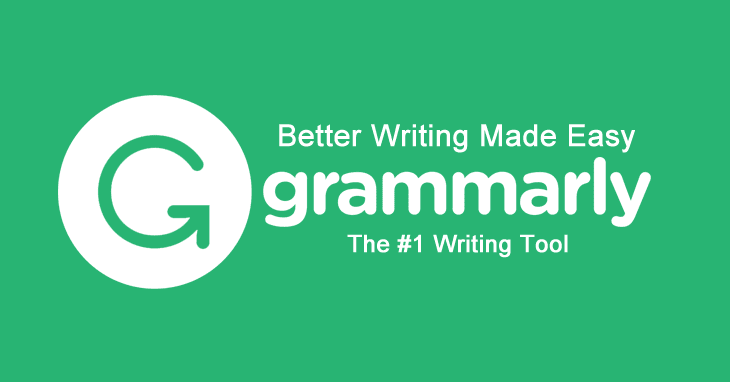 Know About the Tracking Information Grammarly Collects? From time to time, we may want to contact you with information about product announcements, software updates and special offers. We also may want to contact you with information about products and services from our business partners. We consider your acceptance of this Policy as your acceptance of our offer to send you these emails. You may opt out of such communications at any time by clicking the “unsubscribe” link found within Grammarly email updates and changing your contact preferences. You will continue to receive essential account-related information, even if you unsubscribe from promotional emails. Does Grammarly Provide Any Information to Third-Party Analytics Providers? Grammarly makes use of certain third-party analytics providers (“TPAPs”) to, among other things, serve advertisements to the Site and to the Site’s visitors (“Visitors”) on third-party websites across such TPAPs’ networks. Grammarly allows TPAPs to track Visitors’ browsing history on the Site using first-party cookies (such as the Google Analytics cookie) and third-party cookies (such as the DoubleClick cookie). TPAPs may use the information stored by the cookies to, among other things, evaluate your use of a website, prepare reports of website activities for website operators and provide other services associated with website and Internet usage. The information tracked and stored by the cookies enables TPAPs to optimize and serve ads to the Site’s visitors on third-party websites. By using the Site, you agree to the forwarding of data to TPAPs and the processing by such TPAPs of the data collected from you in the manner and for the purposes described above. if any Minor is using grammarly anything shared will be completly the responsibality of parents and grammarly cant be liable. "Grammarly does not knowingly collect personal information from children under the age of 13. If you are under the age of 13, please do not submit any personal information through the Site, Service or Software. We encourage parents and legal guardians to monitor their children’s Internet usage and to help enforce this Policy by instructing their children never to provide personal information through the Site, Service or Software without their permission". Does Grammarly Share My Personal Information or User Content? Some third-party applications and services that work with our Products may ask for permission to access your User Content or other information about your account. Which Clearly Means your typed data is viewed by people who are partners or the other team of Grammarly. And believe me, you don't want your passwords or email id's to be known by anyone. If you wanted you would easily share it with your parents, but you don't, that's just because you need some space for privacy. And one more thing to clarify the reason why it's monitoring your data they say you can be doing something illegal or any sought of fraud. It's clearly like the old saying in Hindi " उलटा चोर कोतवाल को डाँटे"
"Grammarly is committed to protecting the security of your information and takes reasonable precautions to protect it. However, Internet data transmissions, whether wired or wireless, cannot be guaranteed to be 100% secure, and as a result, we cannot ensure the security of information you transmit to us, including Personal Information and User Content; accordingly, you acknowledge that you do so at your own risk". So finally I'll end up saying Grammarly a threat more than a solution. Beware users Attacks are getting more sophisticated and you hardly have anything to act upon.